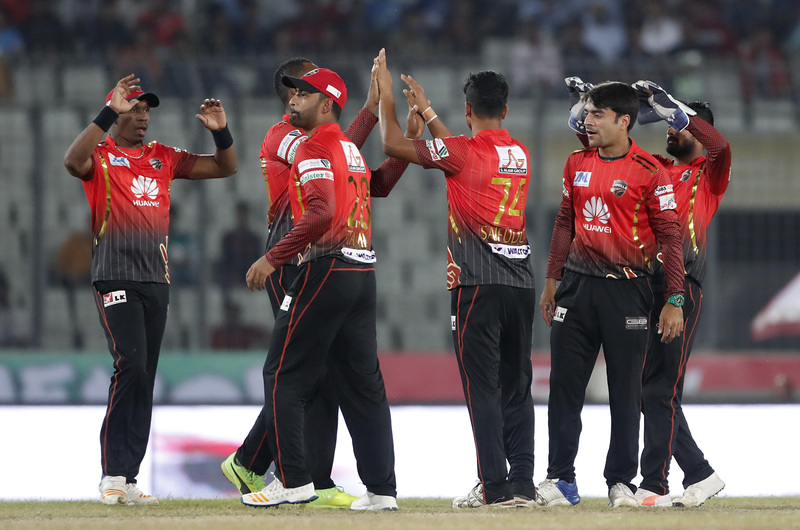 Rangpur Riders clinched a 4-wicket victory over Sylhet Sixers and kept their winning streak going in the 31st match of AKS BPL 2017 Powered by Shah Cement. 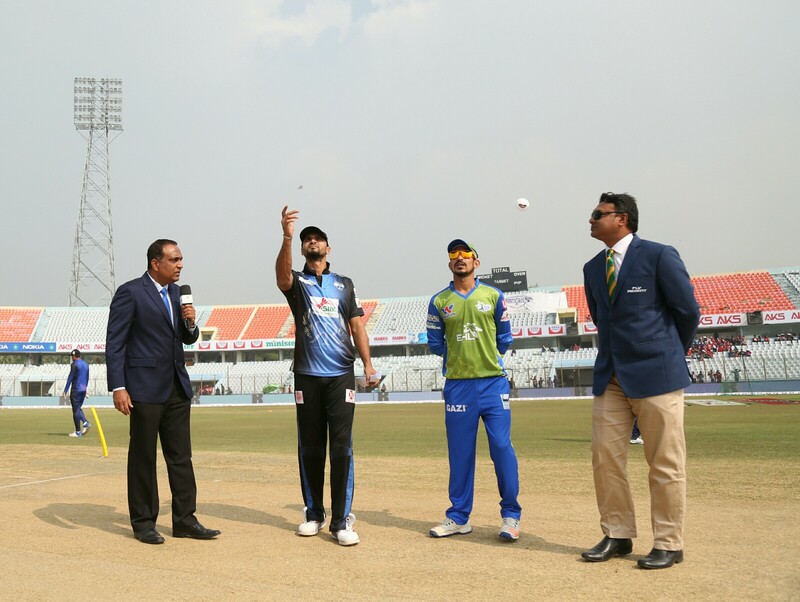 Winning the toss, Mashrafe Bin Mortaza decided to bowl first at Zahur Ahmed Chowdhury Stadium, Chittagong. Rangpur were in trouble after losing 3 wickets for 53. 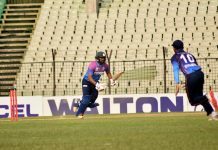 But Babar Azam’s 54 and Sabbir Rahman’s 44 guided Sylhet Sixers to post 173 for 5 after 20 overs. Nazmul Islam picked up 3 wickets for 18. Chasing 174, Ziaur Rahman gave Rangpur Riders a flying start with a knock of 36 off 18 balls. 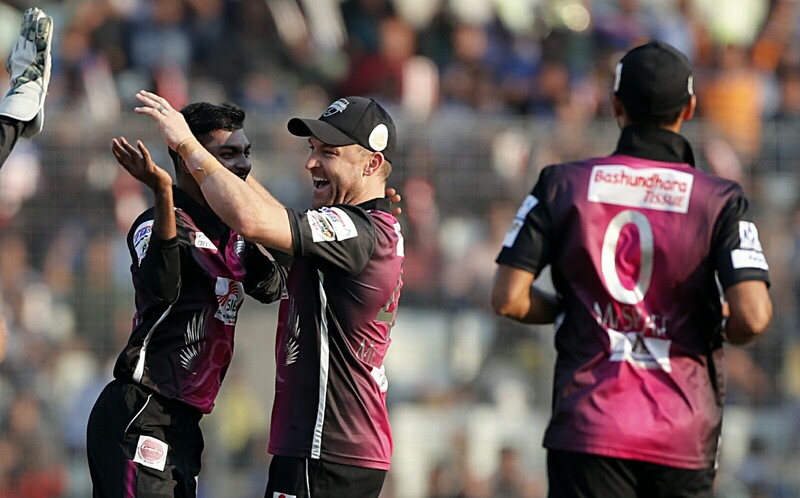 Then Brendon McCullum and Ravi Bopara played two sensible innings to keep Rangpur in the chase. Mashrafe Bin Mortaza and Nazmul Islam won the match for Rangpur with an unbeaten partnership of 31 in the 7th wicket. Abul Hasan, Nabil, Bresnan and Sohail shared 1 wicket each. Nazmul Islam was named man of the match for his brilliant spell.